Drivers have been urged to keep their vehicles stocked up with these essential items in case they get stranded in the snow or ice. If you have extra blankets or sleeping bags lying around your house, put a couple in the car. If you get stranded or happen to be involved in a crash, you can get cold quickly, especially if your car wont turn on. 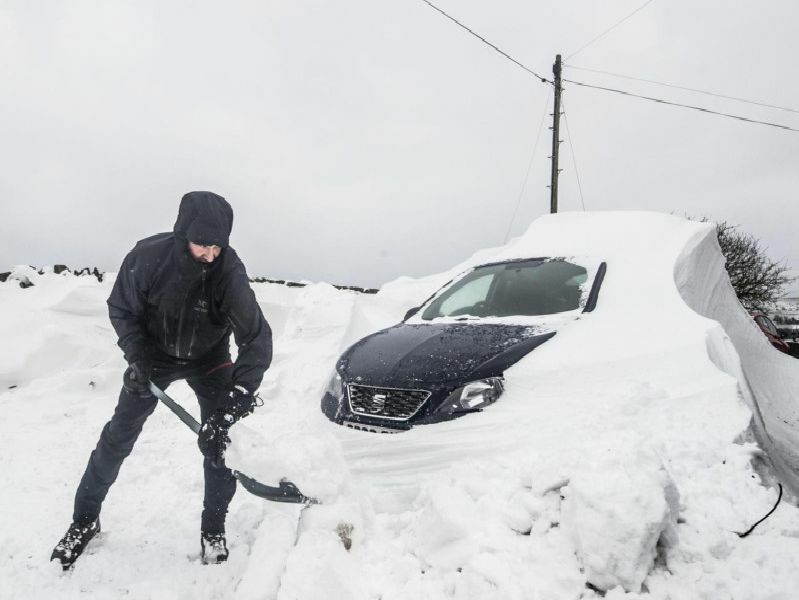 Buy a small or collapsible shovel to keep in the boot of your car. Itll come into its own if your car gets stuck in snow or if you have to clear a path to park up. When youre driving in cold conditions, you might notice the road chucks up little specks of dirt onto your windscreen that can become smeared. Make sure you keep extra screen wash with antifreeze properties to keep it from freezing. In really severe cold, ice can build up throughout the day as well as the morning, meaning you might have to clear it before your evening commute. If you lose or break one, make sure to replace it as soon as you can.